Local marketing matters. 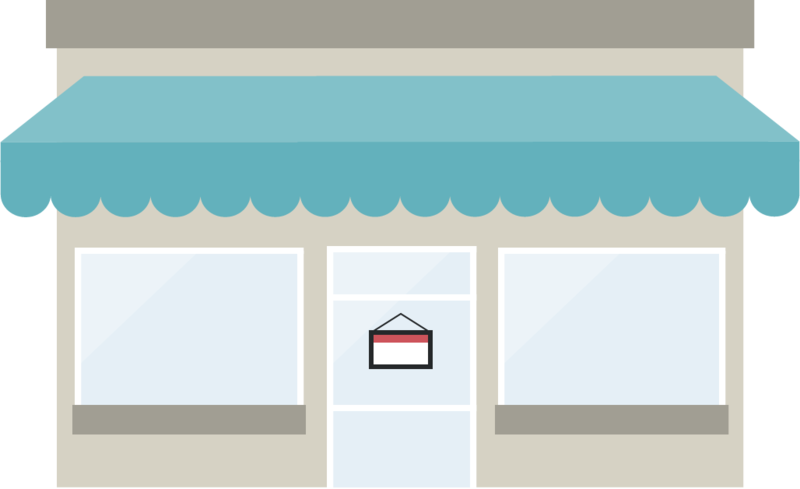 Whether your business reach extends to your local village, city, county, or state, a solid local marketing strategy can increase market share, help garner new customers, and aid in retaining your current clientele. Although marketing trends can change quickly, there are some tried-and-true methods found in both in-person and via digital and traditional media that can take your business to the next level. 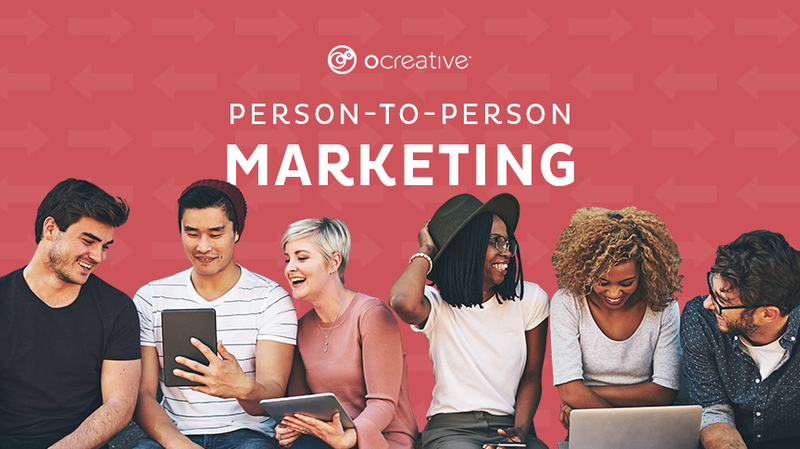 Join us for this three-part series in which we explore these methods in three channels: person-to-person, traditional media and digital marketing. Recent consumer surveys suggest that consumer experience (CX) is the biggest area for marketing opportunities in 2018. With an ever-expanding digital footprint, consumer review sites and social media make traditional in-person marketing tactics crucial to the health of your business. 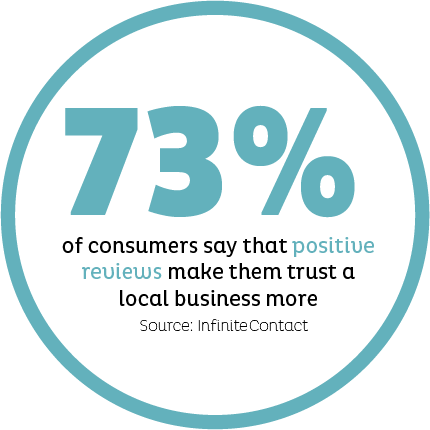 According to a BrightLocal survey of over 1,000 US-based consumers in 2017, 86 percent of consumers won’t purchase from a business that has negative online reviews, whereas 73 percent of consumers say that positive reviews make them trust a local business more (InfiniteContact). In short, it’s important to build a trustworthy reputation among your community and the areas you serve. But where do you start? There are two important marketing assets readily available in your service area: other local businesses and your potential consumer base. Leverage your local chamber of commerce or local business alliance to network and expand your business to business (B2B) presence in your local service area. These organizations are often the gatekeepers to crucial local marketing opportunities and sponsorships to get your name out in positive public spaces. South Eastern Wisconsin, specifically Lake Country and Metro Milwaukee, is built on small villages, suburbs, and small cities, all of which have a local chamber of commerce or small business organization. The Waukesha County Business Alliance, for example, holds monthly lunch-and-learns with local business leaders. In January, the alliance held a panel discussion and networking event with four of Waukesha’s leading manufacturing CEOs of local companies ranging from 15 to 588 employees (Waukesha Business Alliance). With over 300 people in attendance, event-goers had the opportunity to meet and strategize with other business leaders in the area. It’s important to leverage these opportunities to meet influential members of the community, garner brand recognition, and obtain a seat at the table. These relationships can open a world of possibilities in terms of cross-promotion and word-of-mouth referrals. Positive relationships with other business leaders can mean more locations to post flyers, brochures, or other sales materials and generate positive reviews and referrals from trusted members of the community. In fact, not only do local manufacturers have a venue to discuss their business with a large group of influential people, but everyone in attendance has the opportunity to make helpful connections for future business and marketing initiatives. It’s win–win. Since 2005, Moonlit Movies of Oconomowoc has delivered free family-friendly fun to the Lake Country Area with movies and entertainment at Fowler Park and on the streets of downtown Oconomowoc (Moonlit Movies). In conjunction with sponsorships from local businesses, Moonlit Movies brings over 8,000 residents together in one place. In exchange for monetary support, local business logos are displayed on-screen prior to the movie and at informational booths, and businesses are allowed to hand out branded items to event-goers. Booths and branded items at events like this help drive sales by allowing businesses to showcase their products and services (The Balance). It’s important to tap into these community events to get the attention of local attendees and reach out to people at a positive moment during their day. This can build momentum for new customer acquisition and conversion, and, let’s be honest, it’s a fun thing to do! After you’ve spent time getting to know the local business leaders and consumer base in your area, you can seek opportunities for cross-promotion or tie-ins that are beneficial to both businesses and consumers. A tie-in is a planned arrangement between two businesses to target a specific section of the market (Above the Fold Magazine). This type of arrangement boosts brand recognition for both organizations and usually ensures that consumers get the most out of the products or services they purchase. Because tie-ins generally target consumers at the decision point of purchase, additional products and services that otherwise receive little promotion can reach your target audience (Above the Fold Magazine). Continuing to use Wisconsin as a model, we need look no farther than the Milwaukee Public Market for a perfect example of cross-promotion or tie-in marketing practices. For those who haven’t been there, the Public Market is a shared retail space featuring local restaurants, shops, and services, all in one location. To promote local vendors, the Milwaukee Public Market hosts its annual Market Vendor Chili & Beer Tasting event. Members of the community purchase tickets to the event and sample chilis made by various vendors from the space, and each tasting is paired with a regional brewing company’s beer (Milwaukee Public Market). 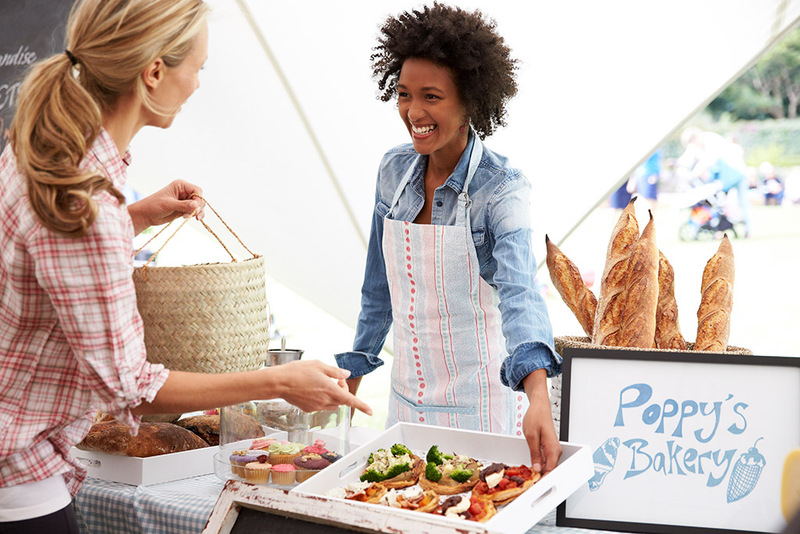 This arrangement is beneficial for all parties because vendors gain exposure to their products and services while event-goers explore individual shops, sampling the chili and drinking local beer. As providers of that local beer, regional breweries get to come in and offer samples and sell their products, boosting brand awareness. Although no vendors involved actually make chili as one of their sellable products, the event allows twelve-plus individual businesses to come together and market their products to a quality, interested audience with little to no overhead. This event boosts sales for each individual brewery and vendor and brings awareness to the Market itself. Finally, empower your employees to be your greatest marketing assets. 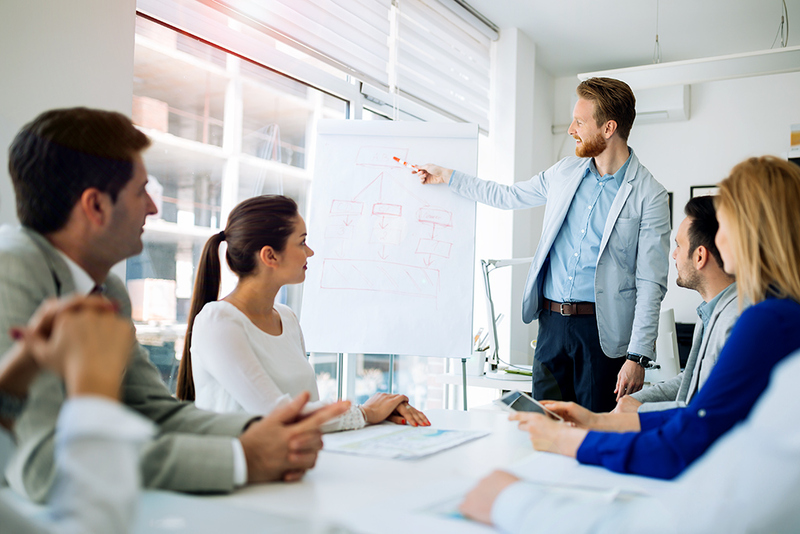 Making crucial B2B connections, getting involved in the community, and leveraging cross-promotions with other local businesses won’t add up to much if you don’t take the time to train your employees in basic marketing tactics like front-facing communication and customer experience (CX). Funneling new customers into your business without having a solid CX strategy could mean low conversion and retention rates. According to the Huffington Post, only one out of every twenty-six unhappy customers complain, whereas the rest simply churn (Huffington Post). Implementing basic CX tactics can be the difference between a positive and negative experience. Although this seems like common sense, it’s often overlooked, and, at times, businesses cannot recover from the damage of poor customer service—one need look no further than the restaurant industry to see the level of churn resulting from poor customer experience. According to Esteban Kolsky, the founder of thinkJar, a customer strategy consulting firm and think tank, 66 percent of consumers who switch brands do so because of poor service. Furthering the damage, 13 percent of frustrated consumers tell fifteen or more people if they are unhappy (Huffington Post.) Avoid the pitfalls of poor experience by setting guidelines for employee communication and by setting consumer-friendly policies regarding your product or service. Building transparency and trust for your business does require some trade-off. You and your employees must be willing to listen to customers and regard their feedback with respect and authenticity. Kolsky notes that 67 percent of customer churn is preventable if the customer issue is resolved at the first engagement. Doubling down, it is actually six to seven times more expensive for a company to attract new customers than to keep existing customers (Huffington Post). In short, do everything you can to ensure each CX is positive, and if a negative experience should emerge, readily and quickly make amends. 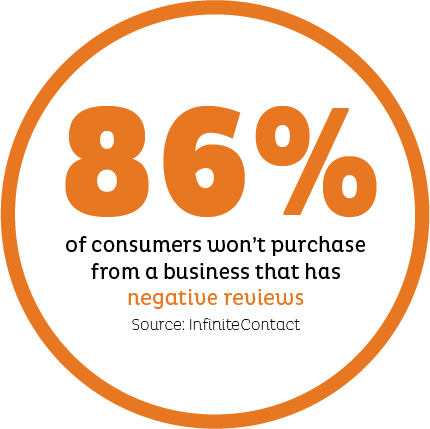 The damage of negative word-of-mouth and reviews is costlier than a comped bill or a refund. If you’re not quite ready to delve into the world of digital and traditional media marketing, following these person-to-person marketing strategies can help jump-start your business and help you maintain a healthy market share in your community. 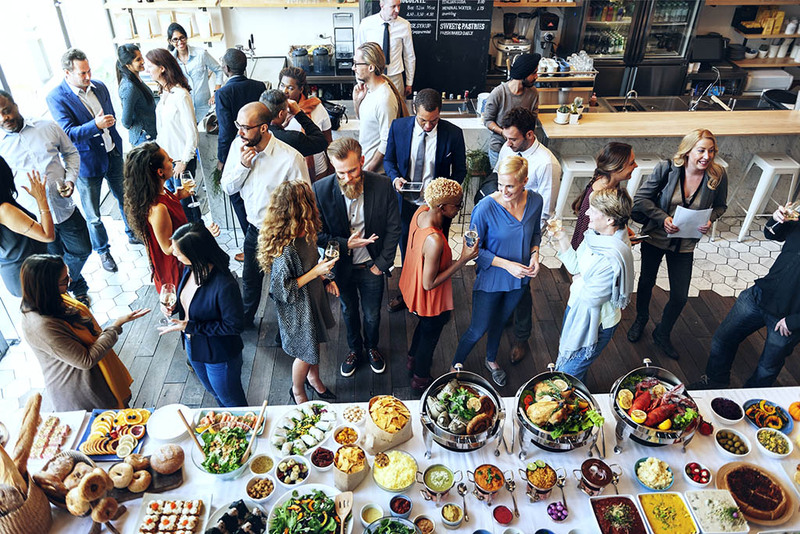 Get involved by making local business connections and reaching out to your community by sponsoring events, use cross-promotional tie-ins to boost awareness, and set up a CX strategy for your team to follow. Then, let the business come to you. Ocreative is an integrated marketing agency, with expertise and broad experience that spans both print and digital media. The company’s core values include offering the highest level of customer service, award-worthy quality, and performance that surpasses client expectations. Ocreative is located just outside Milwaukee and works with clients locally, nationally, and globally. Their clients have access to some of the most fun and knowledgeable professionals around—those who inspire, educate, and problem solve. The agency provides marketing and brand strategy, advertising and design, website design and social media, and video expertise to their clients, fulfilling their desire for business growth and their aspiration to make a mark on their industry.